We are committed to delivering the best quality dental care with sincere attention to our patient's needs. We are not only a knowledgeable care center, we also pride ourselves in being very patient focused. We believe that our constant commitment for excellence is why we are a trusted center to our valued patients. Beautiful smiles and overall dental health is our number one priority to our patients. We are committed to achieving the highest level of excellence in our dental center by our qualified and friendly staff. We are dedicated in providing beautiful and healthy smiles in an accommodating and comfortable environment for all our patients without exception. Carefully assessing your needs and desired outcome. We will provide you with professional advisement and a customized treatment plan that fits your individual dental needs, lifestyle, and budget. We promise to deliver the highest level of dental treatment to the highest standards by incorporating modern dental developments and research into all of our treatment protocols. If you are in pain or are distressed, we can make sure you are attended to right away – a same day emergency appointment is possible in many cases. Please do not delay in getting the treatment you need to bring you back to being pain-free. From the moment you walk in the door, you will be welcomed by our friendly staff in our inviting and comfortable reception area. Our state-of-the-art patient rooms are fully equipped for optimum quality care. We even provide our patients with modern amenities to ensure that your visit is a pleasant experience. You can watch T.V. during your visit! Dr. Cynthia Garcia Longoria D.D.S. is an Edinburg native that decided to obtain her formal education and training by attending St. Mary's University for her Bachelor of Science in Biology and continued to merit her Doctorate in Dental Surgery. While in college, she met her husband, an El Paso native, Dr. David I. Longoria, who was also pursuing a Bachelor of Art in Science. He then obtained his Doctorate in Dental Surgery from Baylor University. Coming back to the Valley was a long awaited passion for Dr. Cynthia Garcia Longoria as she looked forward to applying what they learned to contribute to the growth and professionalism of her hometown. In 2011, Jackson Creek Dental Center was created, developed, and established. 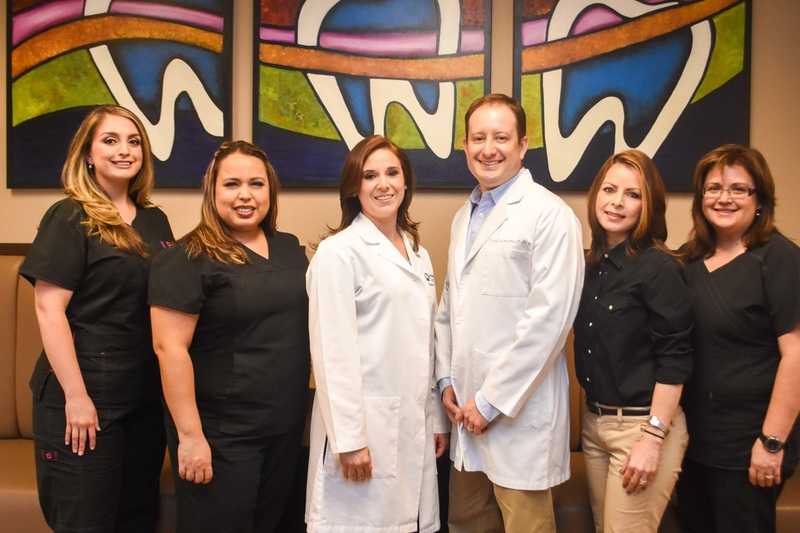 With Dr. Cynthia Garcia Longoria and the rest of the team at Jackson Creek Dental Care, your long term dental health and comfort will always be the top priority. Dr. Cynthia Garcia Longoria is a member of the American Dental Association, Texas Dental Association, Rio Grande Valley Dental Association, and Dentists Who Care, a private non-profit charitable organization. 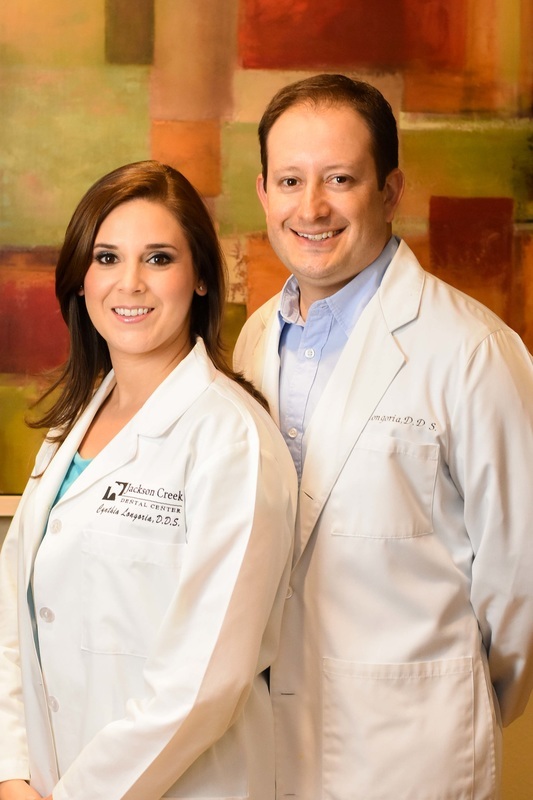 Dr. David I. Longoria has practiced in the McAllen area for several years and has a great passion for dentistry. His expertise and experience delivers design, tooth colored fillings, bridges, crowns, tooth whitening, along with expert proficiency in other services.